Backed by rich industrial experience we are engaged in offering an exclusive range of Two D & Three D Holograms. Our mission is to create a highly technological 3D Holograms to benefit in the combat against security issues, which include theft, counterfeited products and fraudulent documents. We manufacture the broadest line of security products, from simple 3D Holograms for small businesses to complex and special hologram devices for the Government and Corporations. 3D Holograms will insure authentication, protection and taxation. 3D Holograms multi-dimensional images appear when held under certain light. A unique feature of the 3D Holograms is the "parallax" which is the ability to see a scene and colors from many angles and depths. The colorful effect comes from micro structures within the holographic tape, which cause diffraction of the light hitting them. 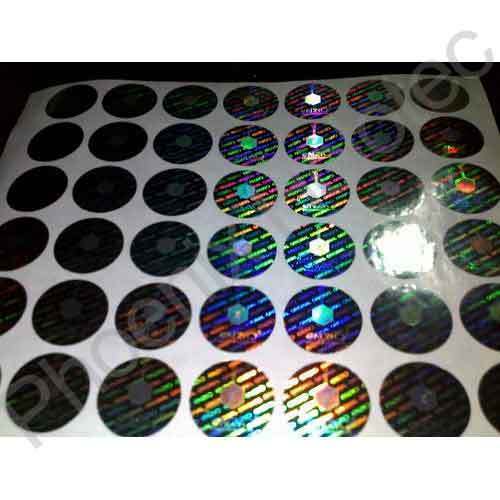 2D holography sticker is made up of two dimensional images. 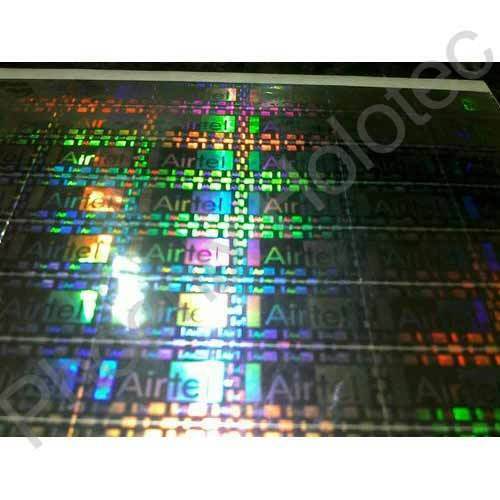 The Holography images are assigned different colors and position in one layer. It just has one layer on Holography image, without visual depth. This sticker is simple design. It only has three color, one layer. The image of fork & knife is the one color. The round Holography rainbow around fork and knife image is another color. Small text background is thrid color. 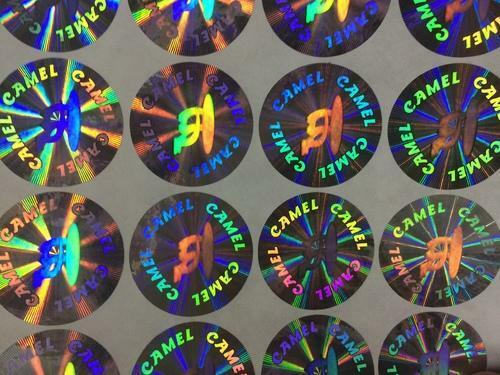 It's very shining sticker because 2D Holography make the most shiningness. It contains several optical layers with 2D hologram images visually placed one behind another resulting in a 3D effect because each layer has different distance to our eyes with visual depth. Such Images usually consists of thin lines that can be seen at large angles of diffraction. Virtually any existing design or logo can be made into a 2D / 3D hologram with depth and parallax. We can work with you to create 2D/3D artwork by several type software, and also can break your existing artwork into color separations and layers which contain 2-4 layers and up to 6 colors. Switch Effect :Superposition of different Images seen at different angles in the same place of the Holograms. 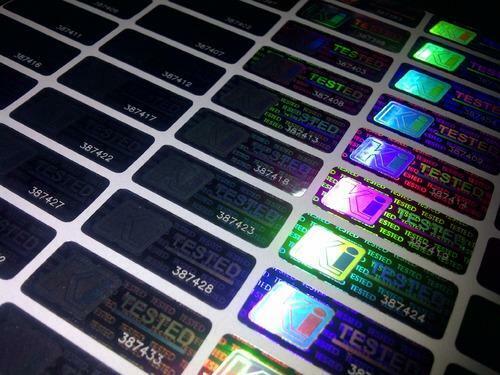 Various micro-&-nano texts cause incorporated into the Hologram design with letter sizes as small as 1 micron. Looking for “Two D & Three D Holograms”?